Lee Stoerzinger, CFP®, brings a unique and timely perspective to the world. Since 1993, he has spent his professional life dedicated to the study of finance and helping people become financially independent. This dedication stems from his passion for investments and economics, and helping people make decisions which truly shape their futures. Having pioneered the "four quadrants of money" concept, Lee understands that while much of how we think about money is purely financial, it is also emotional, intellectual and spiritual. Combining this with a values-based planning approach, Lee has built a process that provides a truly distinguished experience. He believes that having a historical and worldly perspective adds significantly to investment and behavioral management. A resident of a small river town in Minnesota, Lee greatly enjoys life with his wife, Maggie, two children, and a wonderful community of genuine friends. 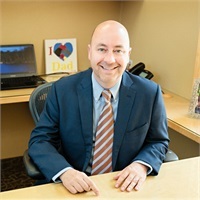 Founder and President of Lee Stoerzinger, Inc.